Greg has over 10 years of experience building comprehensive financial plans for high net worth individuals and business owners. He has accumulated significant knowledge with the use of the planning software, eMoney. Through live modeling, Greg creates an interactive client experience. 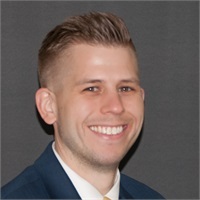 Greg is a graduate of Walpole High School and Bentley University with a degree in Finance. Greg has over 10 years of experience building comprehensive financial plans for high net worth individuals and business owners. He has accumulated significant knowledge with the use of the planning software, eMoney. Through live modeling, Greg creates an interactive client experience. He is a graduate of Bentley University with a degree in Finance.